Nova electrolyte/chemistry analyzers provide a whole blood stat analysis in as few as 36 seconds, 24 hours/day. For higher volume routine testing, Nova analyzers provide batch analysis, walkaway automation, and rapid throughput of up to 475 tests per hour. 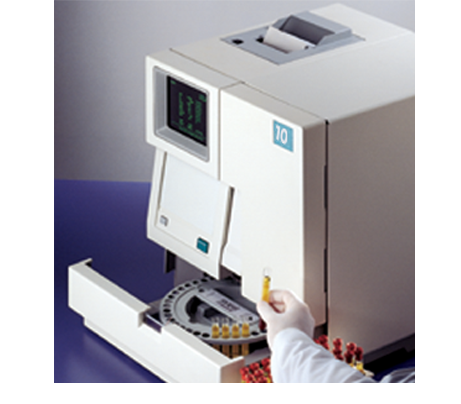 A single analyzer can analyze whole blood samples for stat testing, serum and plasma samples for routine testing, CSF and dialysate samples for specialty testing, and urine samples without pre-dilution, recalibration, or reprogramming. When the total costs of equipment, labor, reagents, biosensors, and supplies are considered, Nova electrolyte/chemistry analyzers are the most economical to operate in the industry. Nova’s long-life biosensors are more economical than single-use, disposable types. Moreover, Nova’s exclusive Reagent Management System (RMS) and single reagent pack design are less expensive than the multiple, individual bottles on competitive systems. Nova electrolyte/chemistry analyzers are fully automated with sample analysis completed at the touch of a button. A fully-automated, 40-position sample tray is available for batch analysis. Certifications & Compliance:ISO 13485:2003 Quality System Registration, IVDD, Meets IEC 61010, UL, CSA Standards FDA Labeling:For in-vitro diagnostic use. Patented Technology. Patents 6,287,451 / 6,837,976 / EP 1 212 609 / CA 2,375,092 / EP 1497 449 / JP 405 0078 Specifications subject to change without notice.